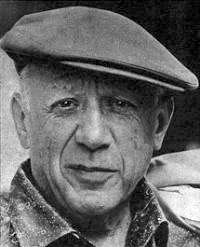 Pablo Ruiz Picasso, often referred to simply as Picasso, was a Spanish painter and sculptor. His full name is Pablo Diego José Francisco de Paula Juan Nepomuceno María de los Remedios Cipriano de la Santísima Trinidad Clito Ruiz y Picasso. One of the most recognized figures in 20th century art, he is best known as the co-founder, along with Georges Braque, of cubism.